2019 Emmys®: What Does “Double Dipping” Mean? Program entries may be entered in only one programming category. In programming categories, an entry is defined as a single program or segment or, in the case of news, one story or a series of stories directly related to each other. A maximum of three segments/lifts/edits are permitted to bring longer program entries to the required time limit. Unless otherwise noted, a straight lift from a long work may be included as an element of a composite, but there must be no editing of the lift. If a PROGRAM entry has more than THREE lifts, the ENTRY will be DISQUALIFIED. COMPOSITES: A composite is defined as a sampling of two or more representative segments or elements that convey to a judging panel the scope, breadth, or range of an individual’s talents or of coverage of a special event. The elements within a composite, unless otherwise noted, are to be “as aired” with no internal edits or post production work, such as music or special effects. Demo reels or montages are not allowed. One to two seconds of black between cuts, with no audio or slates must be added to separate segments within the composite. Unless otherwise noted, a straight lift/edit from a long work may be included as an element of a composite, but there must be no editing of the lift. For program entries, composite may only contain content from one episode of the series, not multiple installments. If a CRAFT entry has more than THREE lifts, the ENTRY will be DISQUALIFIED. LIFT: LIFT=EDIT EXAMPLE – When you shoot a story, you do not broadcast the raw footage necessarily….You edit the work together to make a package for air. These edits equal a LIFT. A lift is considered a “portion” of your work. EXAMPLE: You have 12 Apples on a Tree…GIVE ME YOUR BEST 3 APPLES. An individual entrant can only be recognized once for the same job function, utilizing the same program content. You cannot enter the same material in both news and program categories. 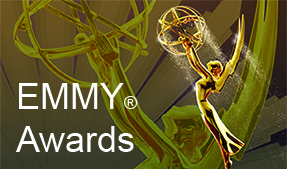 No single entry may be submitted in its entirety in more than one programming category. 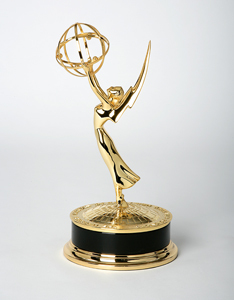 Exceptions are given for content that was part of a full newscast, or included as an excerpt in the “overall excellence,” “news excellence,” “community service,” and “journalistic enterprise” categories. If the ENTRY is certified as Double Dipping, the ENTRY will be DISQUALIFIED. Craft persons, like writers, photographers, editors, etc., are allowed to enter in programming categories if they directly contributed to the content of the program or segment, and have the permission of the primary producer. If a craft person performed dual roles in a program category, they may enter the same content again in their respective craft category. NOTE: Unless otherwise indicated in the category description, program entries may be entered in only one programming category. In programming categories, an entry is defined as a single program or segment, or in the case of news, one story or a series of stories directly related to each other.